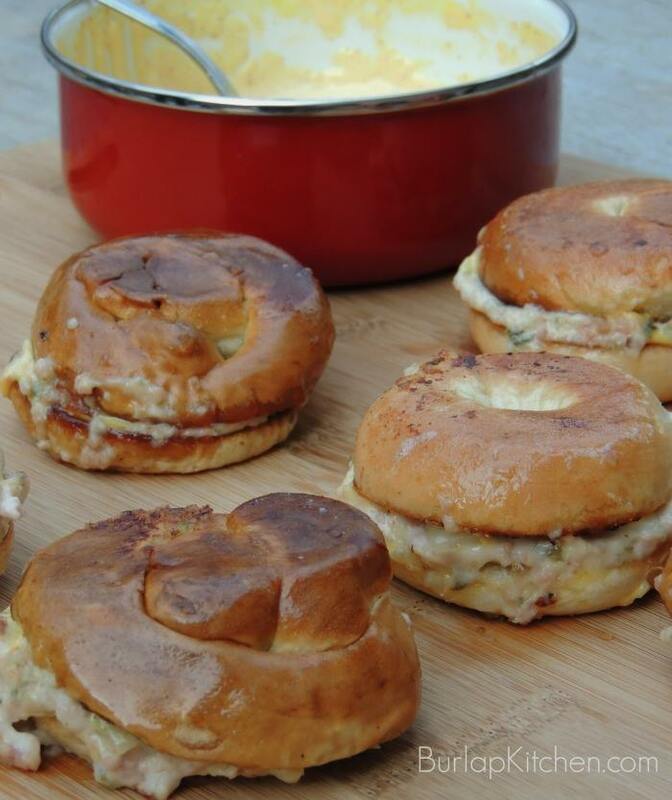 I served these ham salad sliders at our super bowl party along with some other recipes that came by special request including my Buckin’ Bronco Nachos. I always like serving my recipes to a small crowd to get their reaction before posting them to my website. And I am proud to say that these sliders got rave reviews! SLIDERS - Butter rolls and toast them in a warm skillet ( med/med. high heat) bottom side down. Once the bottoms are toasted, lay all the rolls bottom sides up on a clean surface. Spread the bottom rolls with spicy mustard sauce, then add a spoonful of ham salad, a slice of swiss cheese ( that has been cut into quarters), and finally a slice of pickled egg. Spread some more spicy mustard sauce to the top roll and close the sandwich. In a warm skillet ( med./med. high heat) melt one to two Tbsp. of butter and put all the sliders in the skillet. Wrap the bottom of another skillet that is on the heavy side with tin foil and spray the foil with cooking spray, or rub it with butter. Use this to lay on top the sliders to give them a slight press ( my version of a homemade panini press). Flip the sliders and use this same technique to the other side. Make sure you are gentle when you do this, you do not want all the ham salad to squeeze out the sides. These are just as delicious cold the next day as they are right out of the skillet! Spicy Mustard Sauce - Mix all ingredients in a small bowl. Store in the refrigerator. This sauce is also good on sandwiches.